You’re dismayed seeing your hair falling down the drain as you stand in the shower and you notice more hairs come out when you comb or brush them. What’s worse, a glance in the mirror has revealed that you now have actual bald spots. Discovering that you are going bald can be disillusioning. Some people react by wearing a scarf, cap, hat or wig, with the idea that covering up the problem is their best solution. If you’re not willing to hide your baldness, you don’t need to compromise. Instead, you can make arrangements to get a hair transplant. 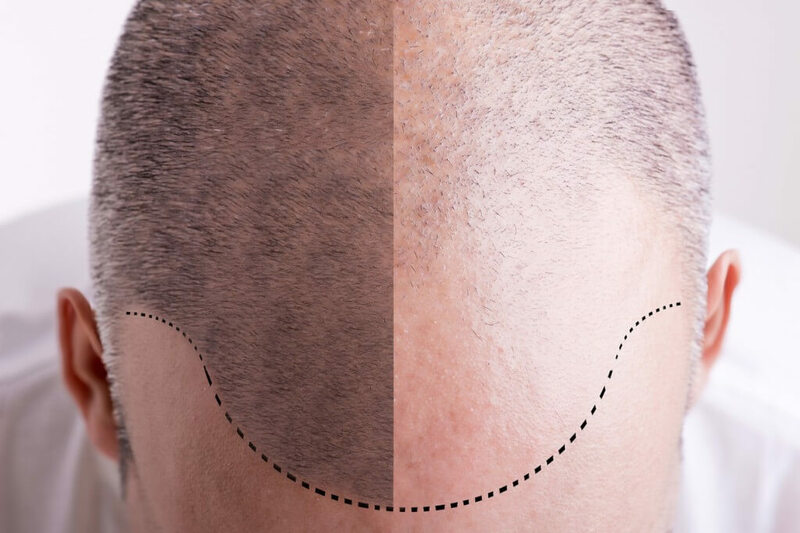 Before you come in for hair transplant services at our facility, learning about the causes of bald spots will be useful (see: reasons your hair is falling out). In fact, your doctor will need to get your medical history and take careful notes about your particular condition before coming up with a treatment plan. The reason for your bald spots will naturally affect what treatment approach the doctor will devise. Aging is a major cause of bald spots. Your family history will help clue you in as to whether you might go bald and when. When baldness runs in the family, you can observe it following a typical pattern. Men will wind up with a receding hairline coupled with actual bald spots on their head. Women can lose hair too, with bald spots and thinning hair becoming more common with age. Did you know that hair products can contribute to balding? Hot oil treatments as well as the chemicals used in permanent waves are known factors contributing to baldness. Alert your doctor if you think products might be the culprit. If the permanent-induced inflammation of your hair follicles is quite severe, this can cause scarring that makes the baldness permanent. Infections and diseases such as alopecia and ringworm can result in bald spots developing. Cancer-fighting chemotherapy agents lead to hair loss that may be permanent, though sometimes patients recover their hair once treatment has concluded. Since there are so many different possible causes for bald spots, you will need to consult with your doctor to get to the root of the problem and develop a hair transplant treatment plan customized just for you. If you have noticed bald spots appearing on your head and are not satisfied with how this is changing your appearance, you’ll want to explore your options. People who would prefer to avoid wigs or toupees and instead would like to have their head restored to its former glory have the option of arranging for hair transplant. For details on our hair transplant services or to make an appointment, please call Metropolitan Vein and Aesthetic Center at 914-295-2202 today.